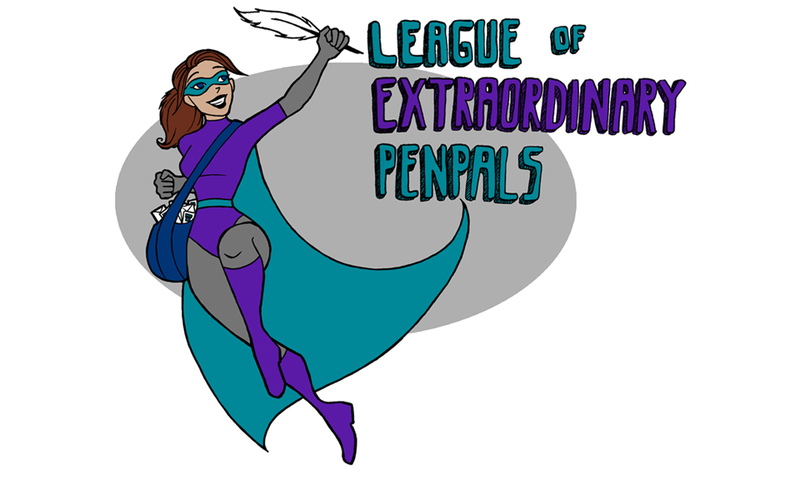 League of Extraordinary Penpals: What? You're not a LEP member? What? You're not a LEP member? Wait. We need to talk. So you're reading this, but you're not a LEP member. You know all the cool kids are LEP members, right? You know we're all having fun in our private Facebook group? You know we'll be celebrating 400 members this month? Would you like to be one of them? One of us? Well you can! It's not too late! You can still turn to the light! We have cookies... and free stationery! Yes, you read that right. We have FREE STATIONERY! The next 34 (my age!) 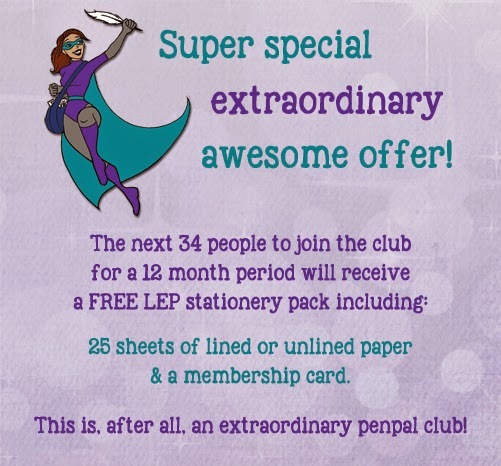 people who subscribe for a 12 month LEP membership will receive a free pack of stationery (we have lined and unlined sheets), as well as a personalized membership card. You pay $30, you get to be a LEP member for a full year, and you receive 25 sheets of writing paper. It doesn't get better than that! And if you're not quite ready to take the plunge yet, and you'd prefer to test the waters first, good news! The next 38 (Denise's age!) people who subscribe for a 1 month LEP membership will receive a free pack of postcards as well as a personalized membership card. You pay $5, you get 5 postcards, and you get to see if the LEP is for you. You can cancel at any time, so there's no risk at all! 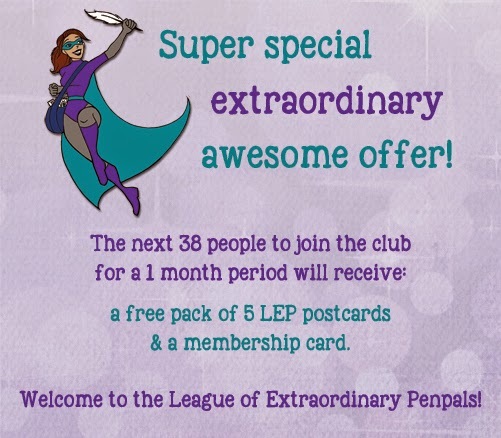 So you too can be a LEP member now. Bravo!